In the first of two baby monitor reviews today, we have been trying out the extremely stylish Samsung SEW-3030 which is a wireless video baby monitor. It looks great. The parent unit is black, sleek and ever so ipod-esque. The camera is discreet and just as groovy-looking. 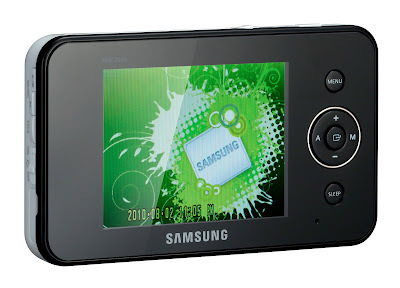 The parent unit hosts a 3.5 inch LCD colour screen that displays a bright, high-resolution image. Complete with infra-red technology, this video baby monitor has night-vision to enable you to monitor your baby's movements throughout the night. We found the image quality to be really impressive – the colour on the daylight image was a bit washed out, but the clarity of the black and white infra-red image was crisp enough for us to see Lara wriggling and squirming in her bed, from a camera placed about 2 metres away. The wireless video signal is secured so that only the parent unit can access the signal. This prevents interference and stops other people with wireless devices being able to view the baby monitor images. The wireless signal is good for up to 100m and we had no problems using it in and around the house. Some of the features that the Samsung SEW-3030 provides are high on our wishlist when choosing a baby monitor. We find the ability to play lullabies from our existing baby monitor to be invaluable in helping Lara to settle – the parent unit on the Samsung wireless monitor allows you to switch on music remotely but we found the music to be a bit tinkly and grating (and not awfully calming). The other feature we like is the 'talkback' capability so that you can whisper calming words to your little one if they stir (or, like me, you can laugh abuse at your partner if you are watching them on the monitor and can see that they are failing miserably to get your child to fall asleep). One feature we were disappointed with was the room temperature monitor – it always told us that the room was dangerously hot so we had to switch the alert off. Only for one or two flickering seconds did the temperature correspond to that indicated by our normal nursery thermometer(s). light of the screen glaring out into our bedroom, or else we used the standby setting which we really struggled to configure such that it would reactivate the unit if it heard Lara stir. For this reason, we haven't replaced our existing monitor with the Samsung video monitor, but instead use the two alongside one another. 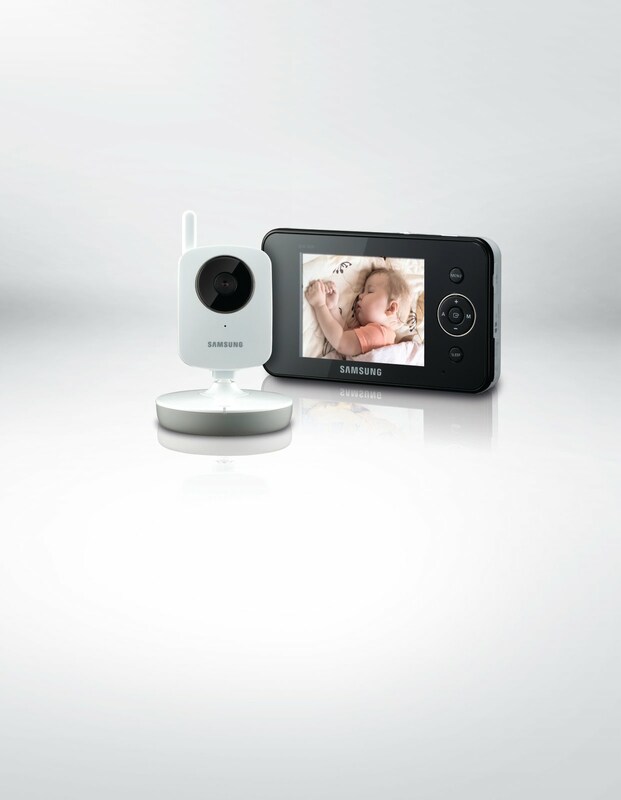 You can integrate the Samsung wireless baby monitor with your PC or TV easily using plug and play technology. For the more technically-minded users, you can use the supplied software to integrate with video chat applications so that if you are away from home (for instance, if you or your partner has to work away from home), you can remotely monitor your child. 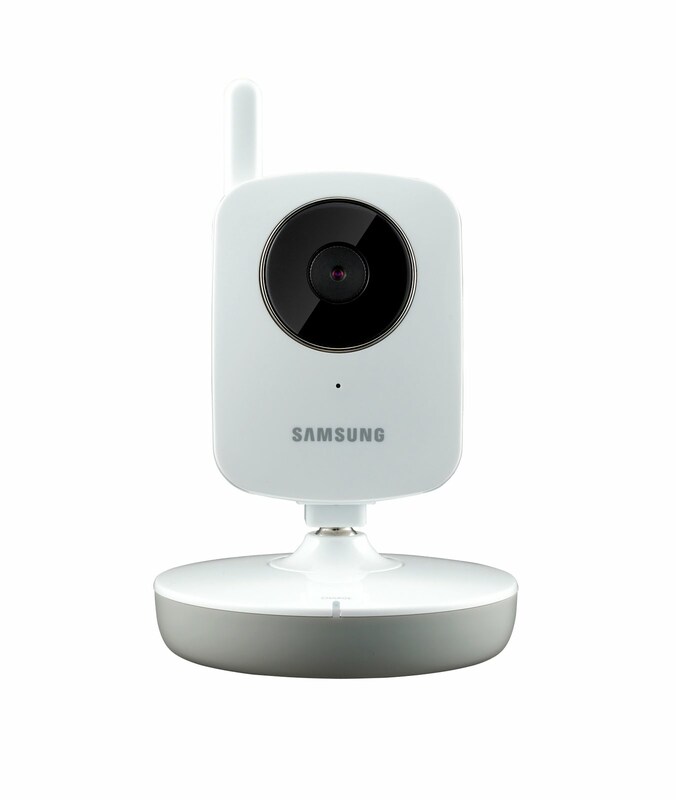 Get this, you can even configure Skype so that it will automatically answer an incoming call from a given number with the Samsung monitoring system!